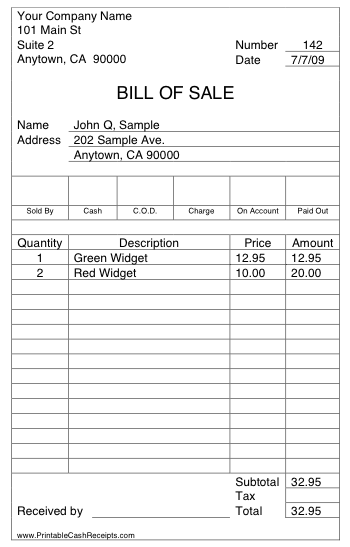 Each receipt template is available in two versions: a free, ready-to-use PDF version and a $7 customizable DOC (Microsoft Word) version. You can pay using your PayPal account or credit card. You'll be able to download the customizable cash receipt within moments.